RA-1592 on uunituore integoitu vahvistin jossa yhdistyy RC-1590 esivahvistin ja RB-1582 MKII päätevahvistin. Rotelin isoin integroitu vahvistin on liitännöiltään erittäin monipuolinen laite ja äänenlaadultaan uskomattoman hyvä. Esivahvistin toimii kahdella erillisellä virtamuuntajalla joista toinen syöttää analogi puolta ja toinen digitaali puolta esivahvistimessa. 200 watin AB-luokan teho takaa sen että ajat myös isompia lattiakiuttimia tällä vahvistimella. 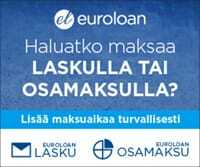 Tarkka ja neutraali, luonnollisen dynamiikan omaava ääni vie kuuntelijan suoraan High-End luokkaan. Hyvin myyvä tuote hintaluokassaan. Suosittelemme! There has never been a better time to be a music lover. Today’s source options provide limitless audiophile quality music. CD-or-better quality streaming, high resolution download sites, inexpensive mass storage devices, the still resilient CD and the resurgence of classic vinyl are all providing a wealth of content at impressively high fidelity. To hear all this music as the artist intended requires an extraordinarily flexible, sonically capable component. The RA-1592 Integrated Amplifier is exactly that component. It leverages the strengths of our award winning RC-1590 preamplifier and RB-1582 MkII power amplifier in a sleek single chassis design. 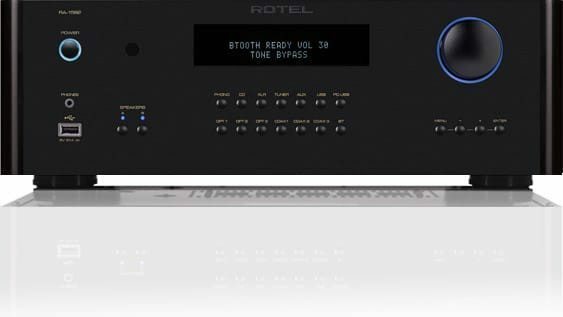 With a powerful 200 watt per channel Class AB amplifier using performance audio grade components, the RA-1592 can effortlessly drive large speaker systems. The impressive Rotel manufactured toroidal transformer is a key element in the power supply design which also includes custom slit-foil storage capacitors and a dual-monoblock topology. All of this helps to ensure the amplifier performance stands up to even the most complex music and real world playback conditions. To complement the amplifier section, the RA-1592’s preamplifier incorporates the superb 32-bit/768kHz AKM digital-to-analogue converter (DAC) and analogue stages of the highest quality. 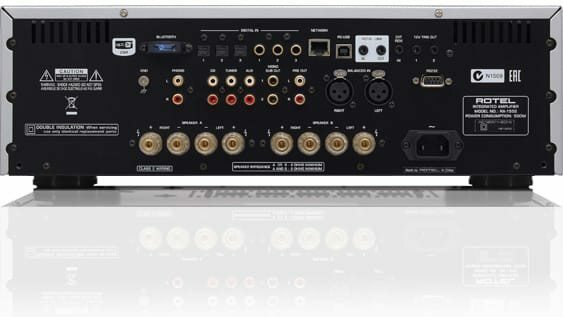 The DAC and surrounding circuitry supports a vast array of source inputs including DSD capable PC-USB (24-bit/192kHz), 3 coaxial, 3 optical, integrated aptX® Bluetooth and front mounted USB iPod input. In recognition of the faithful analogue music lovers, there is a phono stage input (MM), XLR balanced input and 3 analogue RCA source inputs. User selectable A-B speaker outputs with 5-way binding posts, RCA pre-output and dual subwoofer outputs provide the ultimate flexibility in installation. The amplifier protection circuits monitor DC offset, overcurrent, short circuit and temperature to protect both the electronics and attached speakers. Custom integration features include RS232 and Ethernet IP control, 2 trigger outputs, remote IR input and automated digital signal sense power control for easy integration with streaming sources and control systems. 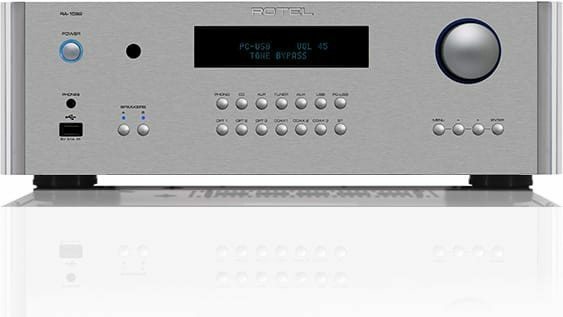 The RA-1592 is the finest integrated amplifier yet in Rotel’s 55 year history of producing performance audio components.